Washify was founded around the idea that integrating a POS with a marketing system will attract new business and get current customers to wash more often. In order to run a successful car wash in today’s competitive environment you need to take advantage of modern marketing tools — such as an integrated smartphone app, e-mail marketing, texting, and a user friendly website. Washify has an easy to use POS system and pay station that integrates with most controllers. What’s New/Best Seller • Washify Pay Station, Mass E-mail Marketing, Gas Pump Integration. Advantages/Features • Includes targeted e-mail marketing, custom website with e-commerce opportunities such as the ability to sell gift cards and wash books online, and offers car wash owners an efficient way to build and maintain a robust unlimited program. Remote reporting allows operators to keep track of their wash from anywhere in the world. A cloud infrastructure means data is always safe and accessible. Detail management module allows customers to schedule appointments online or through an app, and send a reminder for detail appointments automatically via e-mail. Customer/Operator Support • Support is available seven days a week. All technicians are previous car wash employees. Pricing • Complete POS system is $9,995, including touchscreen and RFID reader and 100 tags. Call for pricing for your site. 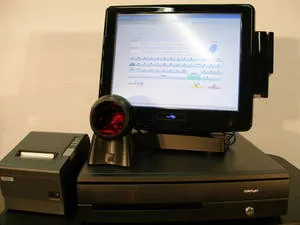 Hamilton Manufacturing is an industry leader in the development, manufacture, and support of automated point-of-sale transaction systems, data access networks, and token/change machines. Hamilton Manufacturing has been in business since 1921 and in the car wash industry for over 30 years. Hamilton products are designed and built to improve customer convenience and loyalty, while offering contemporary technology and durability. What’s New/Best Seller • Hamilton Transaction Kiosk. 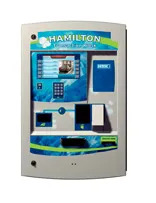 Advantages/Features • The Hamilton Transaction Kiosk (HTK) is a point-of-sale transaction system offering convenience, security, and increased marketing capabilities in one machine. The HTK offers access via the Internet to view and print audit reports, clear soft errors, change prices, and display messages. Added security features such as a high security door, password protection, heavy duty interior and exterior locks, a security camera, and a separate locked chamber offer unattended car wash owners peace of mind. The display on the HTK is ideal for promoting other areas of the car wash owner’s business and allows for promotional messages and custom graphics as well as video capabilities. The HTK’s features can be customized to meet individual needs. Available features include touchscreen, bar code reader, custom graphics, voice and videos, and a dual bill dispenser. Auto Data has supplied POS software and computer systems to the car care industry for over 31 years. Complete cash control, customer history, and inventory control capabilities are built right into the basic POS package. What’s New/Best Seller • CashTracker, Tunnel Logic, and IncomeMax. 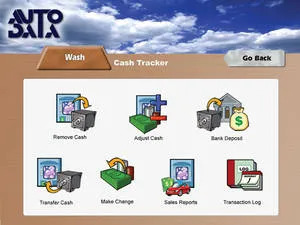 Advantages/Features • CashTracker software is specifically designed for the express wash concept. 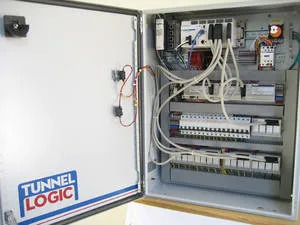 Tunnel Logic is a state of the art PLC-based tunnel controller featuring Schneider Electric’s M340. CashTracker offers specific express car wash sales and cash reporting, and features robust two-way communications with Hamilton’s HTK auto cashier. Tunnel Logic is programmable via a Windows graphical user interface. Anyone can program the PLC — no user manual is required. It delivers mission-critical reliability without the dependency of a regular computer. A touchscreen station comes standard for the tunnel entry, which is also easily programmable via a Windows computer. Customer/Operator Support • Tunnel Logic includes a 1-year warranty on parts and labor as well as toll-free technical support. POS software support and updates vary based on the options chosen. IDX manufactures electronic devices that solve problems. Products include the X10 & MA800, multi-coin/multi-national coin Xeptors, X-Mark security tokens with “No Cross Play”, Wickets SV site specific cashless cards, Wickets NTS wireless credit card solution, MX48 multi-color foam controller, display timers with multi-timer features, retrofit-able electronic rotary switches, Zolar the ultimate freeze controller, SCADAWash data acquisitions controls, and Wash Commander software and replacement controllers. What’s New/Best Seller • Wickets NTS Smart Credit Card Solution. Advantages/Features • Wickets NTS Smart Credit Card solution is set up to accept the new and evolving payment types: EMV contact smart cards, NFC contactless cards, smartphones with wallets apps, and mag strip cards. Standard features include fleet/gift cards acceptance, online card revaluing, multi-increment pricing or count-up, and direct interface with IDX display timers. All readers are wirelessly connected to the Wickets NTS gateway module and reprogram IDX timers for specials and messaging. Customer/Operator Support • Support is available through IDX distributors worldwide or via toll free phone support. Successful operators in all segments of the car wash industry rely on Innovative Control Systems (ICS) for customer-friendly payment terminals, advanced tunnel control systems, and management solutions to build profits while providing a superior customer experience. What’s New/Best Seller • ICS Auto Sentry flex. Advantages/Benefits/Features • The ICS Auto Sentry flex is an industry-leading unattended point-of-sale terminal. It welcomes customers to the wash, provides clear and inviting upsell opportunities, increases throughput rates and sales, helps market the brand, and delivers customized, customer engagement messaging. The durable outdoor unit offers validated P2PE hardware and is PCI compliant for secure chip card transactions. Carolina Pride Carwash Systems and Solutions has been providing car wash operators throughout North America with Industrial Grade Wash Systems for over 45 years. 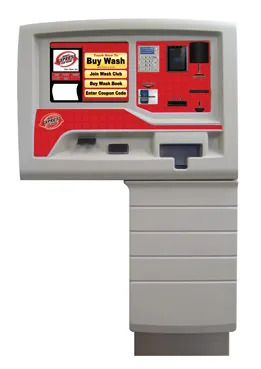 Carolina Pride has evolved over the years with the addition of many new services, including Mercury Global Vision Carwash Payment and Management System, Turbo Dry, Performa, and Express Series lines of wash equipment. Carolina Pride also produces the Tunnel Solutions Line of solution dispensing equipment. What’s New/Best Seller • The Mercury Global Vision. Advantages/Features • The Mercury Global Vision is an all-in-one solution for the payment management and operation of a car wash system. As the brains behind the operation, the system processes transactions on wash bays, automatics, vacuums, and is managed through an easy-to-use web interface. The system accepts a variety of payment types from credit cards, bills, coins, key codes, VIP cards, loyalty cards, and more. It supports multiple car wash locations, and allows the owner to log in and get detailed reporting of revenue tracking on wash bays and payment types. With an easy to use web-based interface and custom branded app, wash card customers and fleet card owners can log in to review their wash card balance, transaction history, preload their cards, and receive special offers. eGenuity is a developer of high-tech, point-of-sale software solutions. ezWash (car wash), ezKiosk (kiosk with gated entry and RFID), eLube (quick lube), and ezWrench (repair shop) all feature integrated marketing products (SnapStorm) that are designed with business success in mind. eGenuity now supports customers in nearly all 50 states, Canada, Europe, and South America. Business owners both large and small have already seen that eGenuity offers a powerful and affordable point-of-sale software solution and continues to be the elite point-of-sale solution for thousands of users worldwide. What’s New/Best Seller • ezKiosk Gated Entry System with RFID. Advantages/Features • Complete soft-ware and hardware solutions for wash, lube, repair, and multi-store chains. Customer/Operator Support • eGenuity offers support seven days a week. Updates are included at no extra cost. Price • Call for quote. WashStat allows operators to monitor inventory and access real-time car wash analytic reporting. In 2014, WashStat was launched at the SCWA trade show and is now being used by car washes internationally. What’s New/Best Seller • The WashStat by Bric Management. 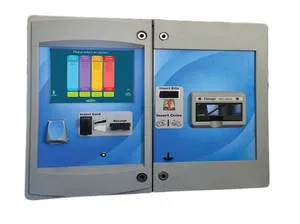 Advantages/Features • The WashStat system allows operators to see what’s happening at their car wash in real time from a phone, tablet, or computer while in the office or on the go. The system’s cloud architecture enables multisite reporting and seamless software updates while maintaining PCI compliance. Quickly see car counts, inventory levels, and machine status remotely, and get real-time text or e-mail notifications when problems occur. Further reporting with analytics on weather, total cars washed, cost per car, and use per provides additional critical wash information. The mobile app and web application keeps the car wash team in sync across all platforms. Price • Each system unit costs $1,000 to monitor up to 20 chemical drums. 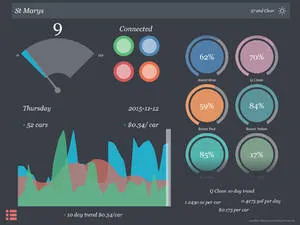 A $15/month subscription provides real-time monitoring and reporting. Customer/Operator Support • Bric Management staff is available for technical support and general questions. 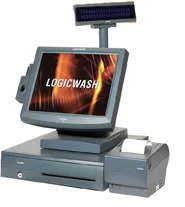 Micrologic Associates is a leader in the sale, installation, service, and support of point-of-sale systems, controllers, and auto payment machines for car wash and quick-lube facilities. 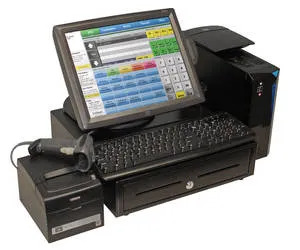 The company provides easy-to-use solutions ranging from wireless hand-held devices, conventional touchscreen point-of-sale computers, and controllers tailored to a wash’s specific requirements. What’s New/Best Seller • Logic POS. Advantages/Features • Logic POS provides cash management, instant credit clearing (to any processor), labor management, VIP/fleet management, customer tracking, as well as an unlimited wash program with credit card on file in the base software package. The system can interface with most tunnel controllers and can replicate the data from multiple sites for consolidated reporting and transferring of customer information. From any Internet browser, owners/operators can view live data, run reports, check timecard activity, and modify services. Customer/Operator Support • A variety of support programs ensure maximum performance and longevity. Forward thinking professional car wash investors and owner/operators partner with Sonny’s because of their leadership, reliability, and expertise. 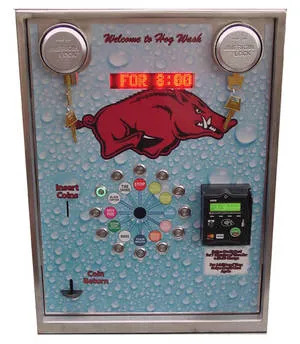 Sonny’s education and software products support profitability and their conveyorized car wash innovations, parts, and supplies keep a car wash business growing. What’s New/Best Seller • The ProfitPilot POS System. Advantages/Features • The ProfitPilot POS system is 100 percent geared toward car washes. ProfitPilot’s monthly recurring module integrates with multiple credit card processors to provide wash monthly revenue the operator controls. All info is backed up with cloud-based software. With ProfitPilot’s recurring module, a wash can sell monthly plans and keep control of the wash redemption limit. Sell monthly unlimited or limited plans, allowing one wash per week, three washes per month, or any combination that fits your business model. 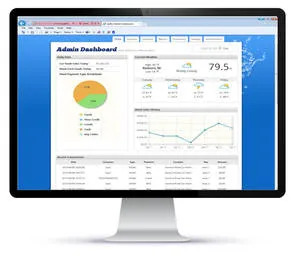 The reporting and controls website provides all the reports and configuration needed, anytime/anywhere from an Internet connected device. Washlink Systems’ motor controls, equipment controls, VFD panels, POS systems, pay stations, and self-serve controls are all designed and manufactured in an UL approved facility. Washlink products provide reliability and functionality at competitive prices. Its 28 years of car wash industry experience ensure operators receive the highest level of expertise. All components are designed to work with any brand of car wash equipment. What’s New/Best Seller • Next Level Recurring Billing/Unlimited Wash programs, Cutting Edge EMV compliance. Advantages/Features • Next Level recurring billing from Washlink is the most powerful and operator friendly platform in the car wash industry. User customizable features include the ability to prorate payments to the date of your choice, loyalty rewards to aid retention, seasonal pricing, and promotional sign-up rates. Industry exclusive Decline Minimizer automatically updates customer card changes, dramatically increasing administrative efficiency and customer satisfaction. The Cutting Edge EMV compliance program brings the industry a true EMV complaint POS solution, today, at a surprisingly affordable cost. Customer/Operator Support • 365 support is always available, with no required monthly fees or annual contracts. All systems come with one year of paid support, and basic support is free for the life of the product. Pricing • Available upon request from your local Washlink Distributor, or Washlink Systems worldwide headquarters.